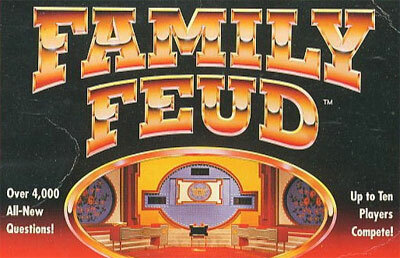 Let the feud begin the FAMILY FEUD, that is. Try to find the most popular answer to open-ended survey questions. Try to keep from getting three strikes, which gives the opposition a chance to steal the round. Whoever gets to 300 points first will get a chance to win $10,000 in the Fast Money round.